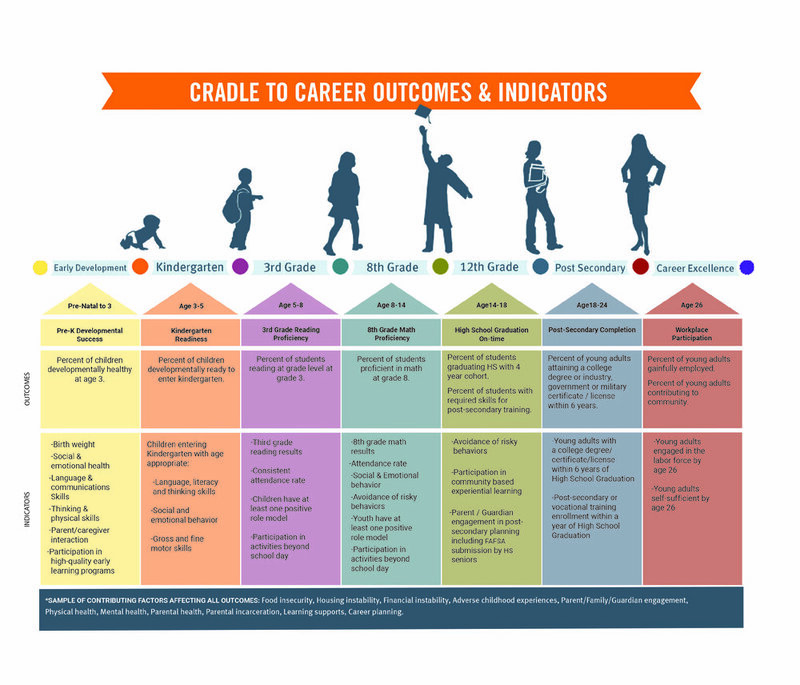 Each BENCHMARK holds outcomes that the Collaborative Action Networks are working to align their program data to the indicators. The FOUNDATION BLOCKS hold up all work the Networks are doing and play a critical role in the success of our students. Providing access for children and families who need stability in areas like, food, housing, financial, mental health, and other individualized help.